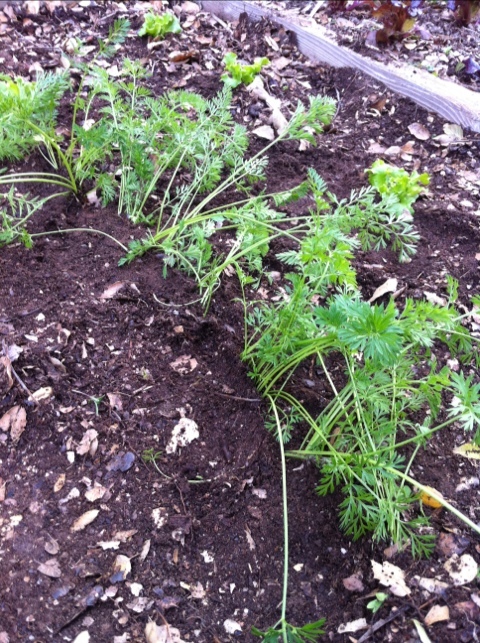 So I bought tiny carrots seedlings 2 months ago. 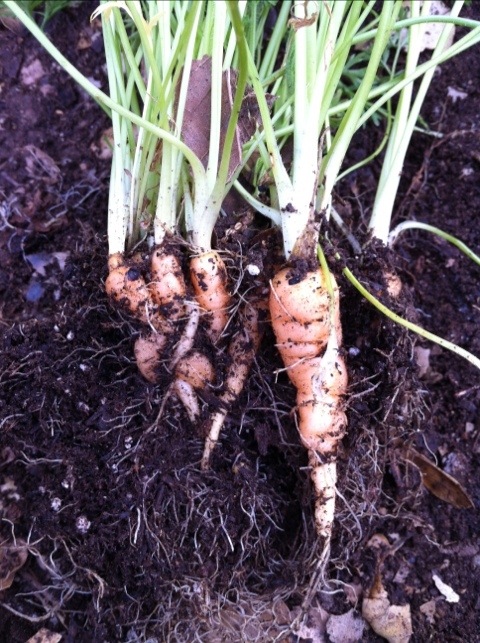 They were hardly carrots but rather about an inch tall plant clumped together in a garden 6 pack. 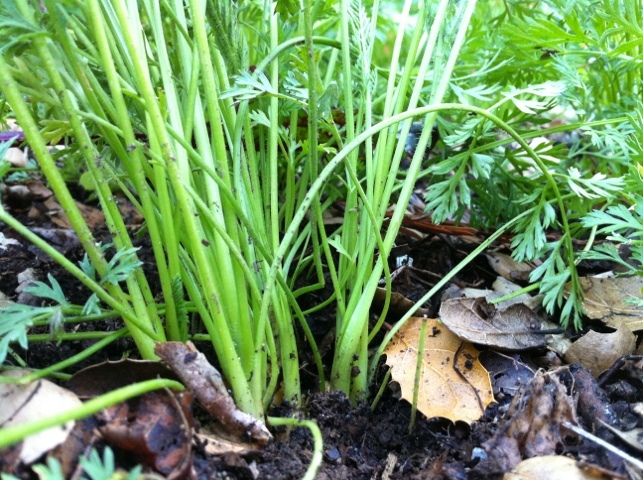 I delicately separated them in half to create 12 clumps and planted in the garden. 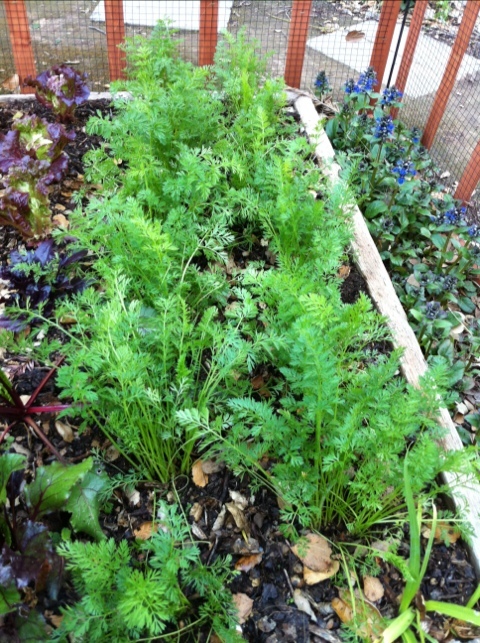 Now they are bigger and just starting to develop into tiny carrots. 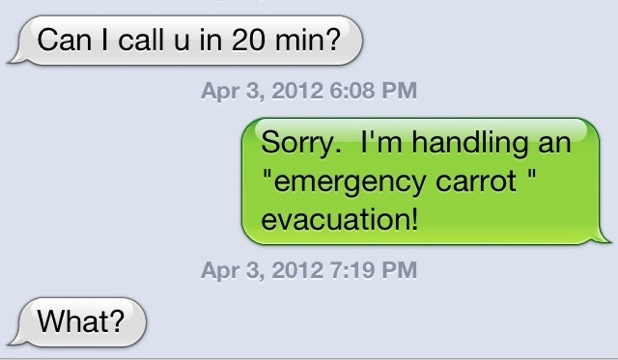 They are in trouble. It is like a carrot forest with dense canopy. 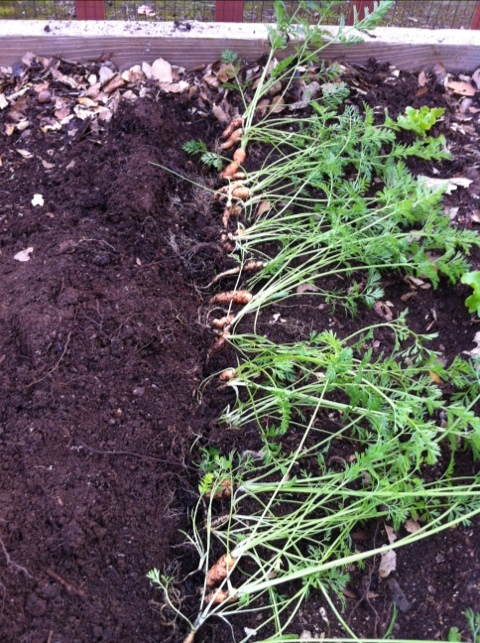 Carrots don’t like being a forest. They are all entwined in a carrot ball. They won’t grow this way nor could I hardly pull a carrot once they bigger. They are still probably too close but better than before and will make thinning easier. Plus I don’t have much planting space left! We will see how they do!